CMS stands for content management service which is used to manage content of website , CMS mainly uses database to store content and server side scripting language to call display data.CMS provides multiple user functionality (with limitation of permission to the respective users) to mange content ,data ,information of web based application. CMS offers a GUI that permits the editor to create content, add images and multimedia files, create content schedules etc.. Gives direct control over content of website even to non technical users. Easy layout customization can be done by end user using CMS. Satisnet offers wide range of CMS website development services, Our CMS development service/solution is widely used for to build highly attractive and cost effective web application. 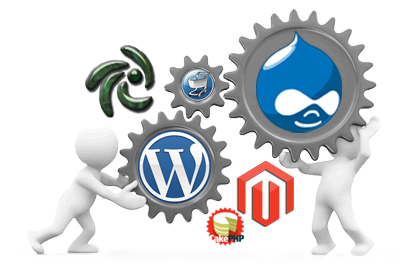 As per our past we are in this industry since more that 10+ years and in this duration of time we have hold experience of over 50,000+ hours in CMS development service and we have developed several websites using various CMS like word press, Joomla,Drupal etc. Other that this we hold an extensive expertise in creating websites by using both ASP.NET and PHP based content management systems.We provide custom based CMS programming and development solution as per client objective.We also offer.